It’s been six months since I decided that I should leave the academic job that occupied me for 25 years. A quarter of a century. It’s a long time to be doing something that I never imagined myself doing. I didn’t, as many do now, set out to become an academic. It just kind of happened. I was 8 months pregnant and someone offered me a job teaching radio to undergraduate students. I’d done some secondary and sessional university teaching before this. I quite liked it. Well, I liked the students. But I’d never imagined I’d make a career out of it. I was extremely fortunate that my foray into full-time employment aligned with Paul Keating’s superannuation legislation and that the sector I found myself working paid the equivalent of 17% of my salary into a super account I couldn’t access until now. Extremely fortunate. Both my partner and I were raised in working class homes. We were taught to value material things. Not in a “I need more stuff” way but in a “this is valuable and I need to look after it” kind of way. People carp on about materialism but really we all need to be more focussed on the material. Throw away consumerism is anathema to the kind of world we need to make – a world that remakes, reuses, recycles and reduces. It was my growing awareness that we need more people on the ground, leading the way towards a more sustainable world that led to my decision to leave paid employment. I already had enough. More than enough. What, I thought, could I give back? Well, firstly my time. I need to spend (oh, the metaphors) my time doing the most good and the least harm. Live local. Ride my bike. Grow food. Nurture my relationships. 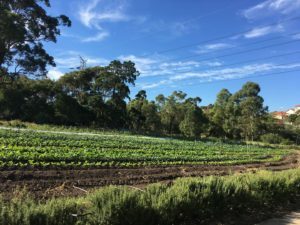 I signed up as a volunteer at CERES, in the propagation team, and I love it – helping to grow organic plants that in turn support the work that CERES does in educating people about sustainable energy, community building and organic farming. I also work with a community group who are trying to raise awareness about the importance of composting in reducing the amount of organic waste going to landfill where it contributes to about 50% of the greenhouse gases we need so desperately to reduce. The Compost Depot is made up of 5 women and one man, all locals who met at Darebin Council’s Community Leaders in Sustainability program in 2016. It’s a new kind of life and I love it. Somewhere in this image is my nana – Dot Dummett. This picture was taken in 1966 when she left Melbourne aboard the very first Women’s Weekly World tour cruise ship. Enticed by images of the world that she found in the pages of that venerable magazine – of coronations and castles and exotic locales – she made sure to book her place on the first Women’s Weekly World tour without hesitation. My grandfather, who had seen some parts of the world during his service in World War 2, had no intention of ever leaving Australia again and confined his interest in the world to his own backyard and the pages of the National Geographic. I found this image while I was scouring old slides that I inherited from my grandfather Fred after he passed away in 2010. What immediately struck me about the image was not the sight of my grandmother riding a camel – though that is quite a striking element in this image. Rather, it was the manner in which she was dressed. A white dress. On a camel. In Egypt in 1966. What was she thinking? Clearly she had no intention of getting dirty, in a physical sense and a metaphoric sense. She would remain as untouched by her experience as she could possibly manage. She was a true colonial’s colonial whose interest in the geopolitical extended only to the naming of royal children and the live telecast of the Royal Edinburgh Military Tattoo. 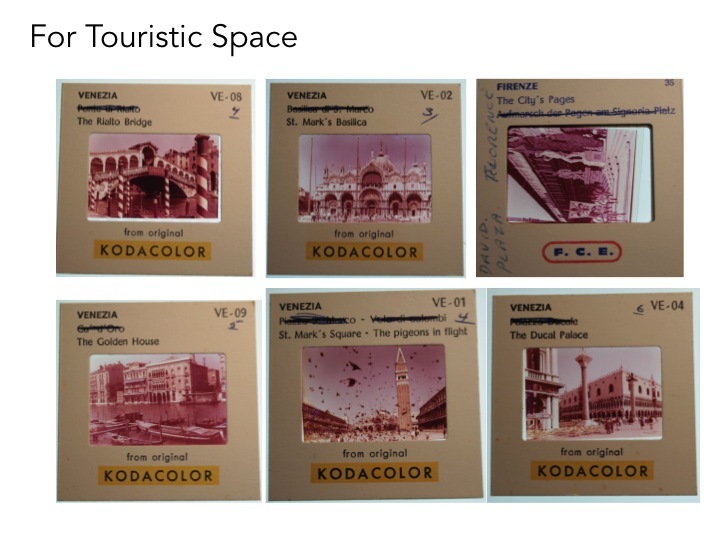 What is also striking about this image is its rarity amongst her collection of slides of her travels. The fact that she is in the image is its first marker as a rare image. The second marker is that it is a snapshot. She did not, in fact, take most of the images she returned home with. Her collection of holiday snaps was predominantly made up of images, in the form of slides, taken by professional photographers. Again, what is striking about these images is not the images themselves but rather her desire to erase any marker of difference, which might challenge her to see these scenes through other (read ‘foreign’) eyes. Hence, she has scratched out the Italian renditions of the names of these ‘sites’, leaving only the more familiar (and one might argue, in her terms, ‘correct’) English names for them. 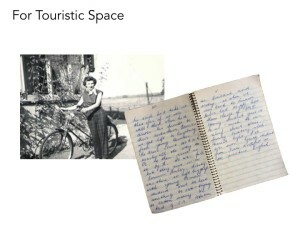 It might be tempting to argue that my grandmother’s travel experiences were indicative of tourism at a particular time and place in history. But I think that would be wrong for a number of reasons. Firstly, I also have my aunt’s diaries from the mid 1950s where she details her travels hitchhiking around Europe with her girlfriends where she muses about this or that lift they have been given and the Iranian student that she tutored in a youth hostel. Secondly, there are no shortage of tourism experiences on offer now that continue to promise the kind of perfect (and therefore at once removed) experience my nan was seeking. I think the difference lies in the ways in which space is both conceptualised and produced in and by the different practices and discourses of travel and tourism. 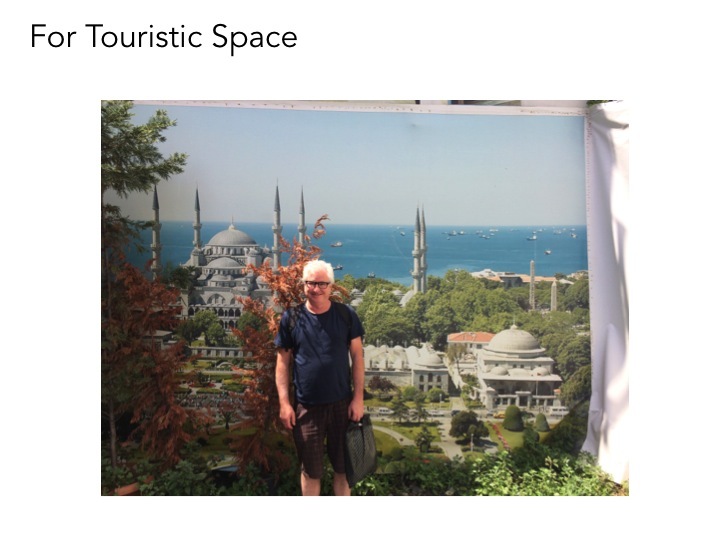 And I’m interested in the ways in which this plays out in photographic practices which in turn has implications for the ways in which we conceptualise space and politics and our being-together in the world. 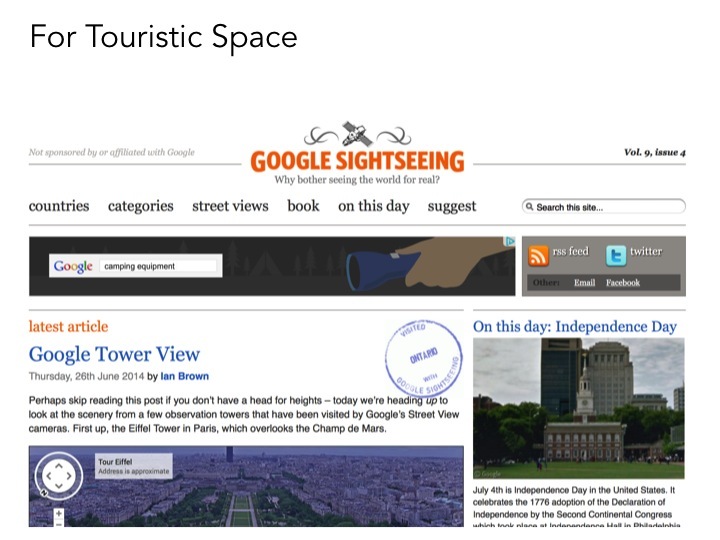 Visitors to the website Googlesightseeing.com are immediately confronted with a question of disarming profundity when they land on the opening screen: Why bother seeing the world for real? 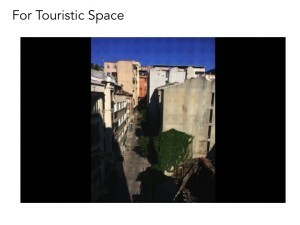 The question suggests that there is in fact a ‘real space’ outside of the space of the screen that has been captured and brought to the viewer, in this case through satellite images and grabs from Google Earth and Streetview. 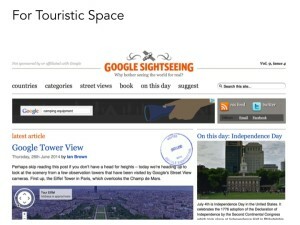 These spaces are represented in and by the images that are the main feature of the site. It also implies that ‘seeing the world’ is merely a matter of vision. 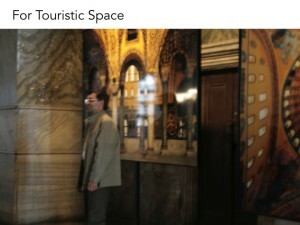 This way of framing tourism – as sight/site seeing – used commonly in a range of modes and expressions of armchair travel (or the ‘tourism of immobility’), not only undercuts the potentially transformative effects of actual travel experiences by reinforcing an imagination of space as representation, stasis and closure, it also resists an understanding of space (and consequently history and politics) as open, unfolding, becoming and event. This argument follows on and draws inspiration from geographer Doreen Massey’s articulation ‘of a new conception of space’s potentially disruptive characteristics: precisely its juxtaposition, its happenstance arrangement-in-relation-to-each-other, of previously unconnected narratives/temporalities, its openness and its condition of always being made’ (Massey, 2005: 9). 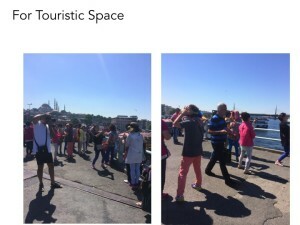 So one might argue that thinking of space as more than simply there but as a product of social relations, as a sphere of a multiplicity of trajectories, allows you to not only experience touristic space as transformative but reinvigorates touristic space as a space of the political. 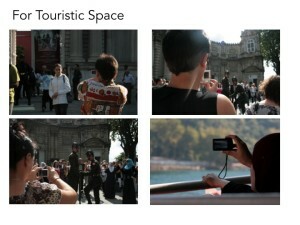 Tourists do not just travel across space to reach a destination, a place, that waits patiently for them to arrive, take their snapshots, and then leave (leaving the place much as they found it). Whether they are aware of it or not, they are a ‘part of the constant process of the making and breaking of links that is an element in the constitution of themselves (ourselves), where they (we) are not, where they (we) are going and thus space itself’ (Massey, 2005: 118). 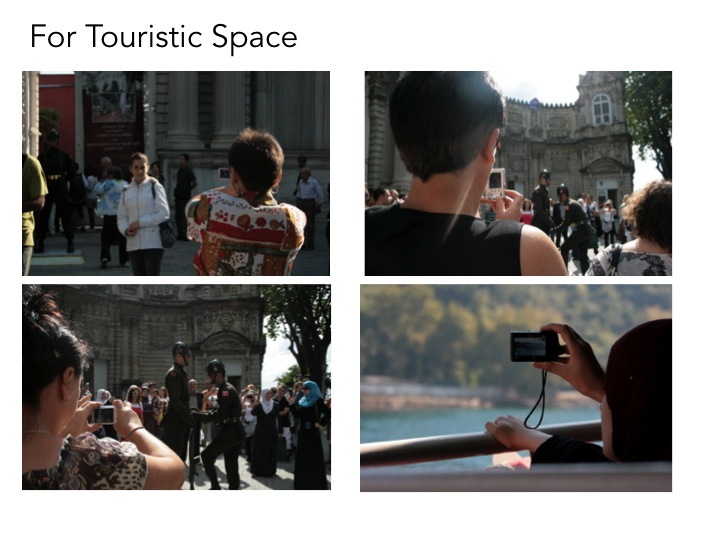 Media representations of travel and tourism work to create touristic spaces while also being a by-product of tourism. 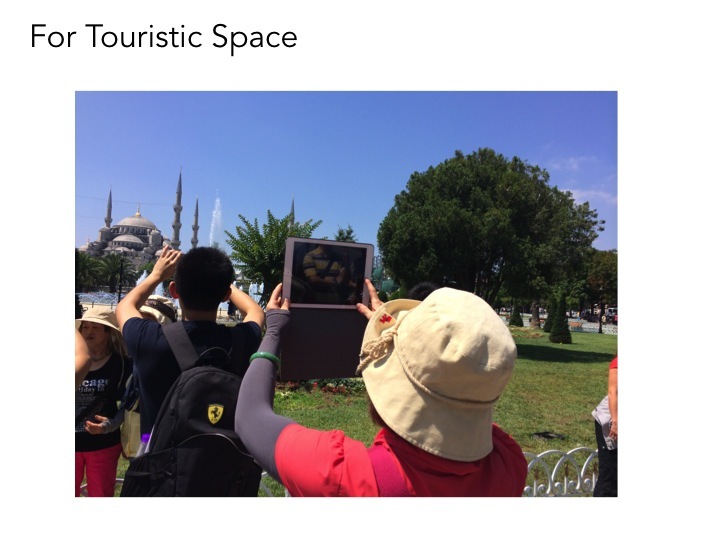 I’d like to tease these ideas a little, and these observations are, I should add, preliminary and part of a larger project on tourism, neoliberal discourses and space that I am currently pursuing that began when I first visited Istanbul, Turkey’s largest city, in 2011. 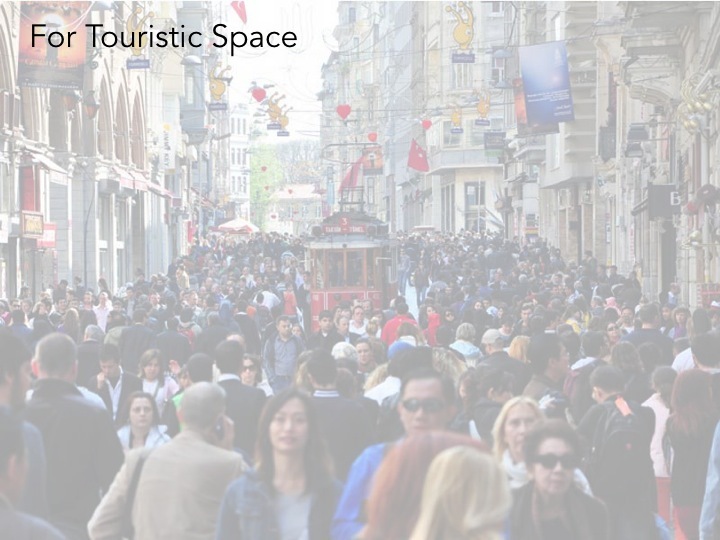 Istanbul is becoming an increasingly important space in the development of tourism in Turkey; it is consistently outpacing the sector’s general growth which is still substantial – Total visitor numbers to Turkey rose from 16.302 million in 2003 to 36.776 million in 2012. 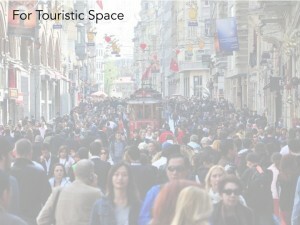 While the number of visitors to İstanbul was 3.151 million in 2003, this number hit 9.281 million in 2012. 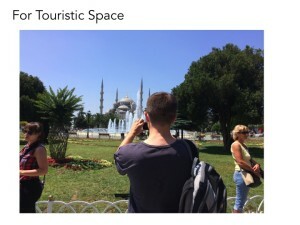 So while these Istanbul spaces are highly contested and politicised, the function of tourist representations of Istanbul, that are created both by and through tourism, empty space out – turning it into a series of ‘time-slices’ that reinforce the idea of space as merely there, eternal, uncontested and depoliticised. 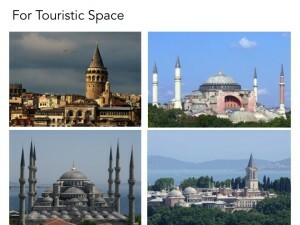 The average length of stay for a visitor to Istanbul is 2.3 days (Turkish Ministry of Culture and Tourism, 2007). Tourism activities are heavily focused on two main areas – Sultanamhet and Taksim/Beyolglu. 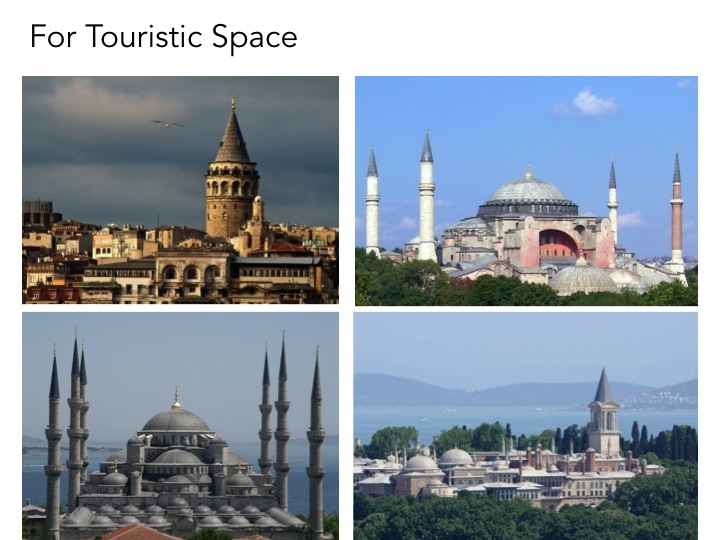 Like many other tourists, my first on the ground experience of Istanbul was premediated by images such as these: show Hagia Sophia, Blue Mosque, Galata Tower, Topkapi Palace. There’s no doubt that these monuments are historically significant and aesthetically amazing. 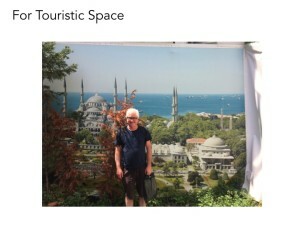 However, whatever auratic qualities they may have are very quickly displaced when you visit them by a sense that you are a part of a massive neoliberal tourism machine. The lines of tour buses that stretch along the roadside between the Blue Mosque and the Hagia Sophia disgorge an endless stream of people and come marked with signs that say things like “The Blue Mosque, The Hagia Sophia and time to yourself”. What I found most intriguing, however, was the sheer number of screens remediating these premediated images. I’m not interested in this from the point of view of say Dean McCannell’s concept of staged authenticity (though of course there are interesting trajectories that this might take us on despite the reservations one might have about authenticity in general) or John Urry’s tourist ‘gaze’ – for Urry, the place still precedes the gaze and therefore, for me, works against a reading of space as event – always and ever open and constantly in the process of being made. 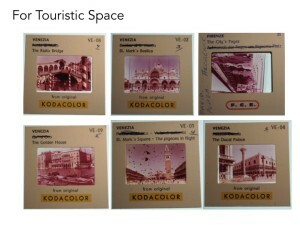 What the replication of the representations of these spaces does is work with the monuments themselves to create an illusion of fixity (which in turn reinforces and reifies the historical over the political) in spite of the fact that the monuments themselves show us the marks of time passing and space being constantly remade. 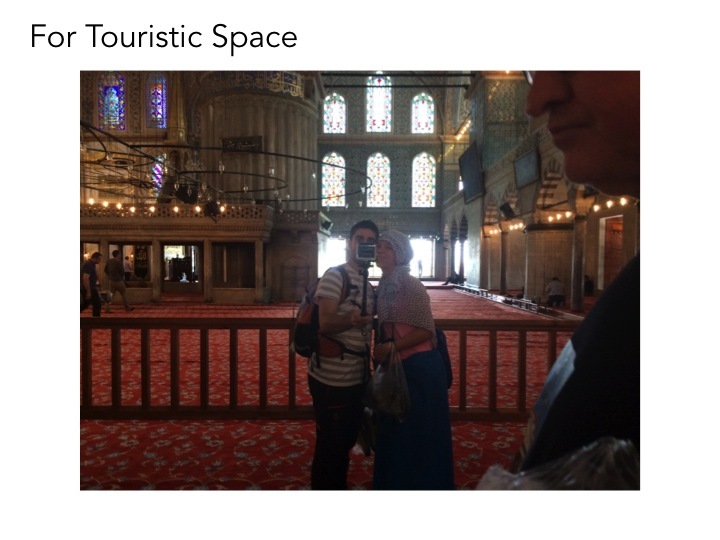 These steps from the Hagia Sophia are a startling example of this. Every footstep, every body is in the process of transforming the space even while those same bodies are attempting to capture its enduring thingness in images. 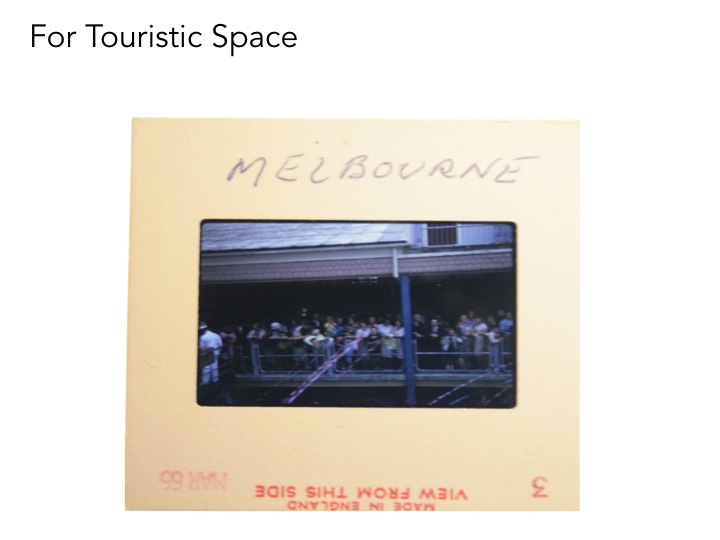 To return to Massey with some remixing: Tourists do not just travel across space to reach a destination, a place, that waits patiently for them to arrive, take their snapshots, and then leave (leaving the place much as they found it). Whether they are aware of it or not, they are a ‘part of the constant process of the making and breaking of links that is an element in the constitution of themselves (ourselves), where they (we) are not, where they (we) are going and thus space itself’ (Massey, 2005: 118). Even more than this, the event of space-time exceeds any romanticised notion of the eternal essence of place-ness by also reminding us that ‘the hills are rising, the landscape is being eroded and deposited, the climate is shifting, the very rocks themselves continue to move on.’ (141) Because we can’t represent that in images doesn’t mean it isn’t happening. 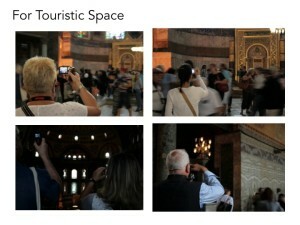 I tried to capture this sense in this collection of images taken on our most recent trip to Istanbul. It falls short of the mark. 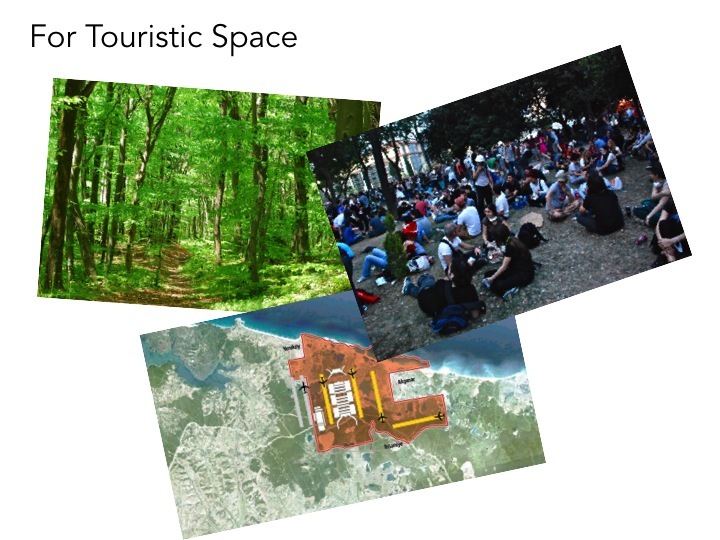 I’m not sure yet how one might or could represent such a set of ideas in practice but that is the thrust of the research I am undertaking with this ongoing project. Inspired in part by the work of Massey and film maker but also by the Greek philosopher Solon. Solon was a practitioner of the Greek institution of the theoria. Theoria, or θεωρία in Greek, is the root of both the word theory and of tourism. Interestingly, the word translates to English as “to consider, speculate, or look at.” The theoria was a group of trustworthy people or an individual, theoros (θεωρός), literally “spectator,” who would be dispatched to distant lands by the community, in search of the truth. The theoria’s job was to go to these faraway places, investigate, and report back to the community. While journalists and the news media rushed to make sense of the uprising in Tahrir Square that ultimately led to the downfall of the Mubarak regime in Eygpt, another kind of sense was being made of these events by artists caught up in the protests. As artists often do, they were tapping into the feeling of the events unfolding in Tahrir Square during the protests as well as the feeling of being Egyptian and watching their world slowly crumble under the oppressive weight of a State out of touch with its people and desperately clinging to power. What artists tap into and through their work pass on when they engage with events such as this is resonance, described by Argentinean anthropologist Gaston Gordillo as the material-affective force that guides, and gives power to, the event of insurrections. Just as the many forms of media, including social media, relay resonance as a force across space both distributing it and reinforcing it, so too does the work of artists. This paper will examine how exhibitions of the work of Egyptian artist, Ahmed Basiony, tapped into the resonance that produced and was produced by the Tahrir Square uprising and allowed its force to continue to be distributed and be affective after the crowds had dispersed. Indeed, the power of Basiony’s work Thirty Days Running in The Place comes, I will argue, from the fact that it acts as a relay for the resonance produced in the Egyptian uprising. Building on the works of Spinoza, Deleuze and Guattari and Jon Beasley-Murray’s recent book, Posthegemony, Gordillo argues that the events that occurred in Egypt in 2011 are one example of a phenomenon that he describes as ‘resonance’, which is produced when bodies come together in space and share a common rhythm. Spinoza’s view of the body as an outward looking entity tangled with constellations of other bodies, Gordillo argues, challenges the belief that human emotions are inner expressions of an enclosed self. Human emotions are produced, in fact, by the impact that other bodies have on our own. What this dissemination of resonance produces is an increase in the spread of “affective empathies” particularly when it is accompanied by media images of the attempted oppression of an unarmed, peaceful multitude by the State through violent means, as was the case during the Egyptian uprising. The creation of “affective empathies” is critical to an understanding of how Ahmed Basiony’s Thirty Days Running in the Place works to transmit resonance through art. 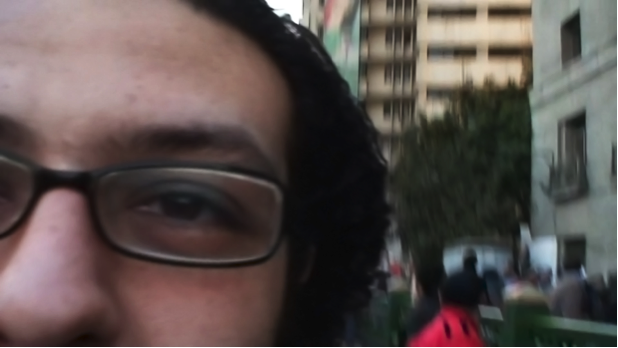 Ahmed Basiony, Self portrait with mobile phone, Tahrir Square, 2011. Ahmed Basiony was shot by a sniper with a bullet to the head on the 28th of January 2011, whilst protesting in Tahrir Square. Following his death, his image became ubiquitous in Egypt and the Arab world. Photos of Basiony were used on posters within the square, in public graffiti, as well as newspapers and magazines internationally, and on numerous Facebook profiles as individuals turned their ‘profile’ photos on Facebook into the popular image of Basiony. As an early casualty of the struggle, Basiony quickly became a martyr figure. Although only one casualty out of an estimated 840 dead and 6000 injured, Basiony’s death was more widely recognised and felt both during and after the event because of his work as an artist. Ahmed Basiony was a media artist who worked with video, sound and live performance. 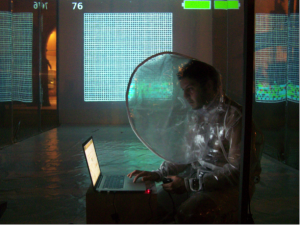 An assistant professor at the American University in Cairo, his work was not overtly political but instead was focussed on the use of digital technologies and open source software to create works that were interactive in the public sphere. 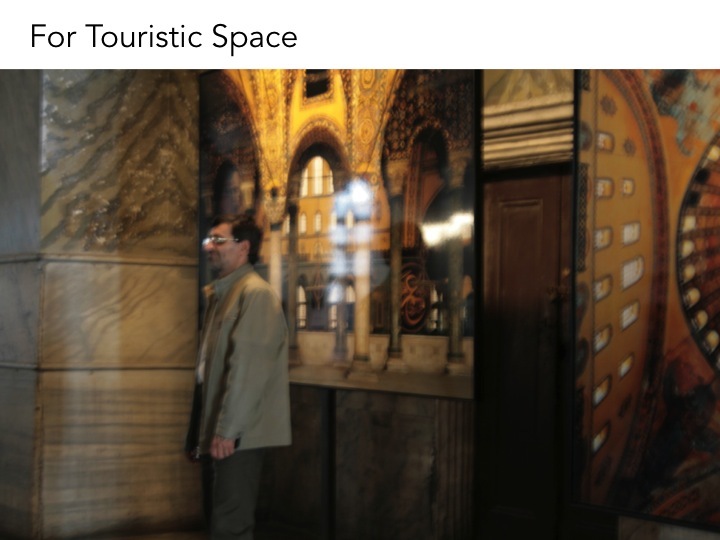 Following his death in Tahrir Square, a reconfigured version of his installation Thirty Days Running in The Place was chosen to represent Egypt at the prestigious Venice Benniale in late 2011. 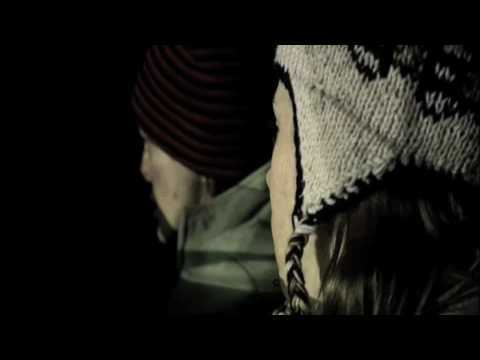 Since that time, Basiony’s work has been exhibited at a variety of international venues including the Abandon Normal Devices Festival at FACT in Liverpool (2011) and at exUrban Screens in Melbourne (2012). 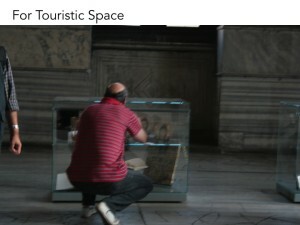 Ahmed Basiony, Thirty Days of Running in Place, Installation Documentation, 2010. The original version of Thirty Days of Running in Place was presented at the Why Not exhibition in Cairo in 2010. For thirty days, in a room enclosed in transparent plastic outside the Cairo Opera House and Palace of Arts, Basiony jogged for an hour wearing a plastic suit fitted with digital sensors that gathered and wirelessly transmitted data on his movements and other physiological parameters. The information gathered was then processed and projected onto a large screen as an ever-changing visual and aesthetic reflection of the artist’s physical state. Described by curator Omar Koleif as ‘evidence of the artist’s belief in art functioning as a primal mechanisation of the self’, Thirty Days Running in the Place is an ‘abstract portrait of a body not just in motion, but changing physiologically under the influence of exercise’ (Kolief, 2011). The rapid dissemination of Basiony’s image and its use on social networks on the ground and online during the Tahrir Square protests led to his identification as a publicly recognisable martyr to the Egyptian cause. It was this notoriety that in part led to the inclusion of his work in the Venice Biennale, a gesture that has had significant flow on effects for the media arts community in Egypt. As Omar Kholeif has noted, “exhibitions of ‘Arab’ art outside of the Arab world often tend to emphasise and fetishize the ‘Arabesque’ qualities often associated with the Islamic tradition, such as calligraphy, painting and craft based arts. Media or digital art conversely has endured its own history – a history that is arguably defined by predominantly American and European lenses. Basiony’s death, however, instigated the most potent validation of new media art practice within Egyptian history” (Koleif, 2012: 75). El Noshokaty has also noted that he has leveraged the public interest in Basiony to initiate numerous free media workshops, creating a generative forum for individuals to use open source and interactive software, which he hopes will change the contours of the contemporary Egyptian art scene. El Noshokaty has said, “I believe that it [Basiony’s legacy] can make a parallel cultural revolution in our country [Egypt] very soon” (Kolief, 2012: 76). The question relevant to this argument is how the exhibition of Basiony’s posthumous work is able to transmit the resonance of the Egyptian uprising. El Noshokaty alludes to it above when he says that the work “presented the positively utilized energy of the collective revolutionaries” (Koleif, 2012: 76). It may be more cogent to argue that the work does more than present the energy of the revolution – rather, it works to transmit resonance, which both created and was created by the Tahrir Square uprising by engaging the audience through affective empathy. The juxtaposition of the images of a young, healthy Basiony jogging in place alongside the images of bodies and spaces tangled in a vortex of movement, whirlwinds, and flows that characterised the Egyptian uprising produces affective empathy in the audience not only for Basiony but for all of those people who gathered together at that time in that space to try and force change. We are asked to meditate on the once live Basiony’s body while simultaneously being reminded of the scene of his death. Our recognition of the fragility of one body intensifies our perception of the power of many bodies working together in space. The images and sounds from Tahrir Square, even when experienced in the quietness of a gallery space, still resonate strongly partly because of the way in which they were captured, via a hand held mobile phone, but also because of the knowledge that we are experiencing Basiony’s experience of the uprising. We are as close as we can get to inhabiting his now dead body as it was made alive by the resonance around him. 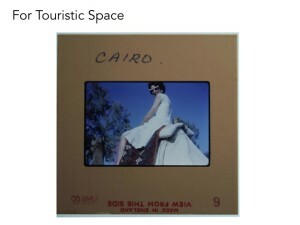 Gaston Gordillo’s exploration of resonance as a force that fuels and is fuelled by conglomerates of human bodies acting together in space is useful for understanding how uprisings in the Arab world in the past twelve to eighteen months have arisen and spread. 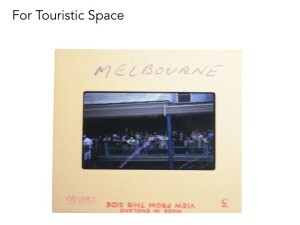 In his words, “[R]esonance, in short, forces us to look at wider, complex, ever shifting and fluid topographies of unrest that connect and affect distant and seemingly disconnected geographies” (2012). While all forms of media play a role in spreading resonance through the creation of affective empathy in those not directly involved in uprisings like those in Egypt and elsewhere, I have argued, using the case of Ahmed Basiony’s Thirty Days of Running in the Place as evidence, that the work of artists can also act as a relay of resonance through the creation of affective empathy in those who experience the work. Beasley-Murray, J. (2010) Posthegemony: Political Theory and Latin America. Minneapolis: University of Minnesota Press. Kolief, O. (2012) Ahmed Basiony: Media Artist or Martyr? Afterimage: The Journal of Media Arts and Cultural Criticism 39(5): 74 – 79. So this is an old post but I am going to try to spend more time here writing than I currently do on Facebook. It’s such a paradox that Facebook seems to provide connection and a way out of social isolation and yet it is a product of the same alienating structures that cause the isolation and lack of connection in the first place.